Silver Lake is still renting Full Day Boats and Motors for $49 for a full day and $39 for a half day rental and our café is open seven days a week from 7am to 2pm so come on out and enjoy great fishing and the beauty of Silver Lake and Eastern Sierra. Happy Fishing and Good Luck!! The Silver Lake Resort is a full service resort in June Lake, CA. 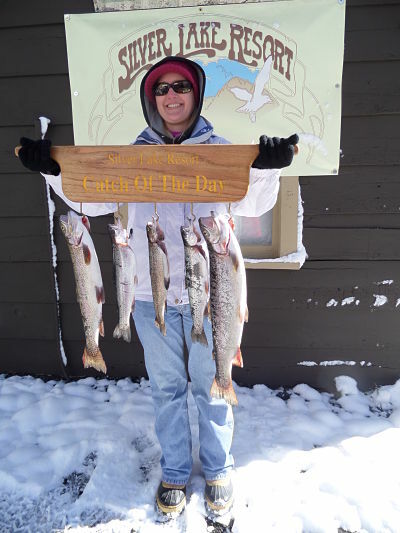 We offer accommodations for fisherman throughout the trout season. We have cabins for all size groups, an RV park, a Cafe with fabulous food and a general store to meet your needs. 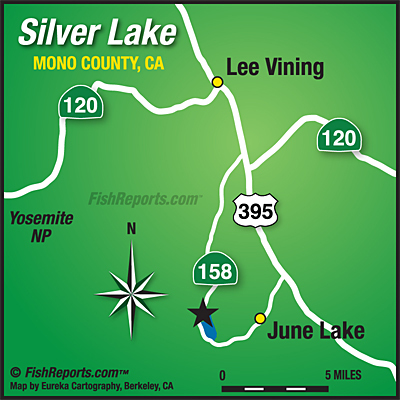 If you would like to book a trip to Silver Lake call them at (760) 648-7525. For more information check out their WEBSITE.